How can local businesses use the internet to become more profitable? Philadelphia, PA, --- “The problem is most small business owners do not realize that their customer pool is online looking for them,” says business owner, JC Lamkin, President, Gypsy Lane Technologies (GLT) and member of the Greater Germantown Business Association (GGBA). "A quick drive down the 8200 to 5100 blocks of Germantown Avenue in Philadelphia will result in the realization that our area businesses are quickly folding. But, if you take a cruise on social media websites, you will begin to understand why ... prospective customers are online. These days, it's not just about having a website or the plummeting DJIA. It is about connecting with customers, establishing your brand as a leader in your industry and building relationships online. Additionally, many business owners don't realize that their customers are online discussing their product and service needs. Social media sites are now allowing businesses to develop relationships with customers. Business owners just need to learn how to properly build a strategy and tap into that customer pool." 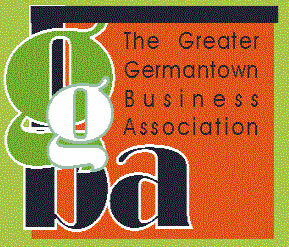 To address the concerns around closing Philadelphia area businesses, the Greater Germantown Business Association welcomes all to attend the Free Greater Germantown Business Association’s March Program, Social Media for Business Sustainability, on Tuesday, March 10, 2009 at First Presbyterian Church in Germantown, 35 West Chelten Avenue, Philadelphia, PA 19144. The Association’s regular monthly meeting is held on the second Tuesday of every month; and, begins at 7:00 p.m. sharp with updates, the workshop immediately follows. Meeting adjourns at 8:00 p.m.
* How do potential customers use the web to look for your products/services? * How can neighborhood businesses use the internet to become more profitable? * Should You Market Your Business on the Internet? This interactive workshop will be facilitated by tech expert, JC Lamkin, PMP, president of Gypsy Lane Technologies (GLT), a professional Internet solutions company headquartered in the Germantown section of Philadelphia with training offices in Philadelpia and King of Prussia, PA. GLT specializes in best-in-class database development, website development, social media strategies, webcasting, online marketing, Flash multimedia and content management solutions. GLT features an integrated team of web consultants, creative designers, writers, coders and marketing professionals who know how to get online results. Ms. Lamkin will also be available to sign copies of her book, “Fabulous & Tech-Filled, Volume 1” . Contact staff writer Karen Haber-Williams at 215-843-1039 or karen.haber-williams@gmail.com. 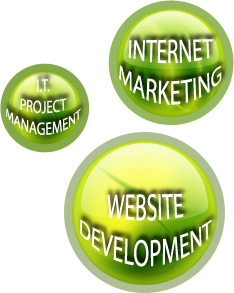 Your business cannot grow until and unless it is exposed to the world of the Internet. That's because it is relatively tough for your business to survive amongst your competitors who may well have taken their Internet marketing techniques to a whole different level. So our Internet marketing solutions can be just the thing that your business needs to turn around its current slow state into a fast paced profit-making machine. For more useful tips and Marketing Solutionslook at our site. Also choosing a social bookmarking website is crucial. Some crowds might not like your message as much as others.